Today was going to be the “tough” day, when all the great ideas of the last few days would have to be shaped into something that could become actions. It turns out that the morning was a bit of a rough ride but an agreement was eventually reached over how to form groups around topics of interest. 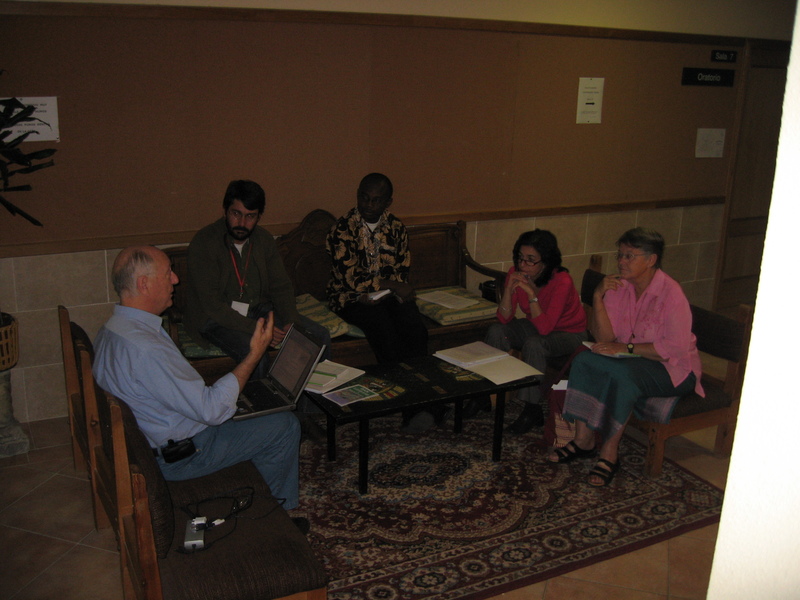 The questions that the groups are trying to answer regard possible methodologies and structures – bi-lateral, multi-lateral and at the level of the Society of Jesus – as appropriate to their topic of interest. The toughest question to answer, however, will be “What might be your level of commitment as an institution or (Jesuit) Conference?”. As Jim Stormes pointed out this morning, the group gathered here in El Escorial these days is the group of people involved in advocacy within the Society of Jesus. If they don’t make commitments, nobody will do it for them, and the chance to do so now is not going to re-present itself very soon. Of course, the group will also make recommendations for actions that others should take (e.g. within the governance levels of the Society of Jesus) but the commitment of the participants in this workshop will be pivotal to the success of any future advocacy action that the Jesuits or individual Jesuit and wider Ignatian institutions will undertake. I quietly celebrated the birthday of Pedro Arrupe on Nov.14th and I know that he would have jumped for joy at your efforts. He will bless your work and will guide you to the most urgent areas. Thank you all and blessings from Australia.